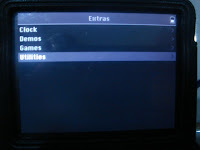 A few months ago, I wrote an article on installing Rockbox and Bootloader on my 5th generation iPod Video. This time, I will give be sharing to you the 13 not-so-easy but also not-that-difficult steps to successfully install Linux on iPod. * The tutorial was tested on my 5th gen. 60GB iPod video. * I am not responsible for anything that could happen to your iPod. Try this at your own risk and don't ever tell me that I did not warn you. * Backup all your iPod files because all will be deleted during the process. * A little knowledge in using Linux is highly recommended. Read and understand all my instructions first before starting and if you feel that this is not for you then leave. 1. Download a Linux LiveCD. 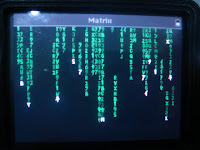 Go to Distrowatch.com to choose a distribution, but I suggest you get Knoppix as it was the distro I used and tested. 2. Boot the LiveCD and once you are on the KDE desktop, connect the iPod. 3. Open Konsole and type "/sbin/fdisk /dev/sda" replace "a" in "sda" with the corresponding drive letter of your iPod. Then type in "p". A partition table should appear. Remember the “start value” for the second partition and write it down so that you can remember it. 4. Type "d", then "2". This will delete your music partition. Then, type "n", then "p", then "2", then the “start value”. Then, it will ask for last cylinder. Check the "default" and subtract 16. So, it’s default minus 16. 5. Type "n", then "p", then "3", then the last number you typed above PLUS ONE. Then, press enter for last cylinder, it will put the default value. Type in "a", then "2". Type in "t", then "2", then "b". 6. Type in "p". You should get your new partition table. If you do not think it is correct, type "q" and then go back to step 3. "mkdosfs -F 32 /dev/sda2" to format the fat32. Be sure the F is capitalized! "tune2fs -c 0 /dev/sda3" to set the maximal mount count to 0. It will show up as -1, this is correct. 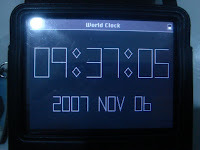 Download the userland: http://so2.sys-techs.com/ipod/ipod_fs_240206.tar.gz. Extract the downloaded file to sda3 (not sda2). It might give you an error about a file expected instead of a folder, just press skip. 9. Go here, and download “appearance” with the highest number. Extract it to the /usr/share/ folder in sda3. If it asks about overwriting anything, just press skip. Go back to that same link above, and click on “pzmodules” with the highest number. Extract it to /usr/lib/ folder in sda3. Go back to the site, yet again, and get "podzilla2" with the highest number, and this time just extract it to sda3, don't put it in any other folder. Note: Some people have reported problems with extracting podzilla2, and have said that simply renaming it to podzilla works. Try it out if you have issues. 10. Start Konqueror, go to storage media, go to sda3, and right click on the podzilla2 file (it will have 3 numbers after it.) Click on "rename", and change the name to "podzilla". Drag podzilla to the "bin" folder, and when asked, click on "move here." It will ask you to overwrite, click on "overwrite". Double-click on bin, find podzilla, right-click on it, and press "properties". Open the "permissions" tab at the top of the dialogue, and check the "is executable" box. Click ok, and go up-one-level twice (with the up arrow near the "home" button). 11. Go here, download the latest build and extract it to sda2, not sda3. This will make updating the kernel from windows possible, if need be. Go to Konqueror, and click on sda2 (not sda3). Right click on the kernel file you just extracted, and rename it to "kernel.bin". Go up-one-level, right click on sda2, and click on "safely remove". Now, disconnect your ipod. 12. When the ipod is disconnected, it should restart. If it does not, reboot with menu + center. It will show the blue background, run some white text, and a menu will come up with three options: RetailOS, iPodLinux, and Disk Mode. If the white text keeps looping, then do step 11 again. -RetailOS: Pretty obvious, will put you back to the normal OS. It will then always stay in RetailOS, unless you reboot with menu + center. -iPodLinux: Boots Podzilla2! Try it out, the next step will show you how to use it. Do not restore your iPod as it will destroy all your hard work. Instead, go to disk-mode or RetailOS, plug it in, run iTunes (it will think of it as a new iPod,) and just put all your music back on. This is all that is needed. Also, do not update as updating will do the same. 13. 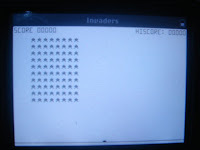 When you initiate iPodLinux, it will boot in verbose mode, and then you will see some loading dots and some error messages. Just press the “center” of the click wheel to avoid them as they are not essential. Enjoy. Wow cool. Is this safe? I don't want to brick my ipod. My email is rocklover95@hotmail.com will i still have my songs games videos, get back to me? no it's not safe, it's all "at own risk" and not tried on iPod 6th generation, try to be carefull and only use it on an ipod you can miss, if you don't have a lot of money to buy a new one, don't do it. Interesting I must admit but what is the point? I would much rather do something along the lines of pendrivelinux.com. 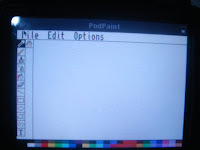 place a bootable particion on the ipod that way i can boot to it and have a full OS avalable.